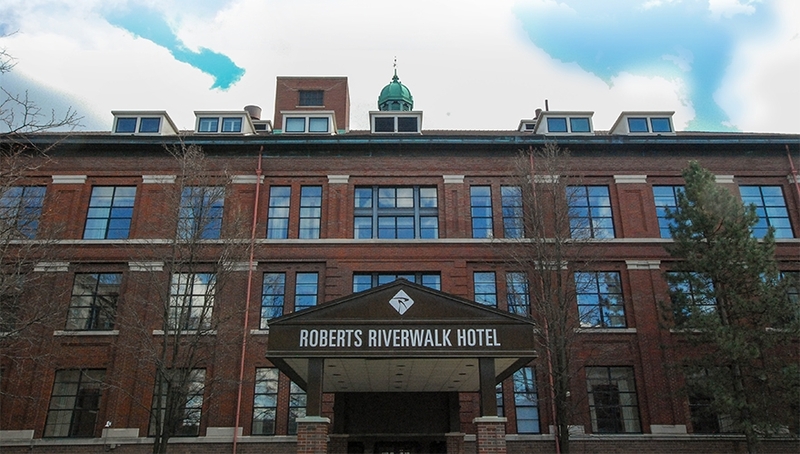 The Roberts Riverwalk Hotel, which is the only African-American-owned historic boutique hotel located on the banks of the majestic Detroit River, was granted a $4.8 million energy efficiency and property sustainability program. The program was approved by Lean and Green Michigan for PACE (Property Assessed Clean Energy),in partnership with PACE Energy Services, Structured Finance Associates, and Wayne County. Under the program, the hotel is in the process of implementing a wide variety of energy and water efficiency measures including LED lights inside and out, new heating and cooling units, state-of-the-art building controls, multiple water saving measures, building envelope upgrades, solar-powered parking lights and will address certain storm-water controls. The $4.8 million project was financed over 20 years and is projected to save $15.6 million over that time span. This landmark project is the first in the state for an African-American owned business. Dr. Roberts purchased the property in 2010 andover the last 30 years, has developed several energy efficient commercial and residential properties that consist of hotels, television/radio stations, and mixed-use buildings across the country. PACE is a legislative program developed as a long-term financing tool for commercial property owners to pay for energy efficiency, water efficiency, and renewable energy upgrades. Property owners receive 100 percent pre-funding for energy saving upgrades on their facilities and pay the PACE loan back through a special assessment on their property taxes. Dr. Roberts pursued the program after discovering the opportunity to lower energy costs while significantly decreasing the hotel’s carbon footprint. Over the next six months, the Roberts Riverwalk Hotel will be transformed into a green facility. Not only will the project increase property values, it will also be a business sustainability model for the surrounding community while lowering its carbon footprint within the city of Detroit. Formerly the OMNI Hotel, the Roberts Riverwalk Hotel has 108-elegantly appointed guest rooms, an in-ground outdoor pool, a restaurant, and over 12,000 square feet of event space. Dr. Roberts coined it the new “Urban Resort on the Detroit Riviera,” home to a celebrated history, hosting various entertainers and high-level dignitaries.